A used shipping container is one that has been used in shipping for anywhere from a few months to several years. When received, we inspect the and improve it's condition by fixing dents, repainting it and so on. After this we classify them accordingly from premium A Grade, to A Grade to B Grade. Before we perform any refurbishing, the container is classed as "As Is". Used containers are among our most popular products here at ABC. Besides a few dings and dents, a new paint job can get them looking AS NEW in no time. What's more, thanks to their durable construction, second hand containers maintain usability and re-sale value for years to come. Last but not least, they are the perfect low cost solution for restricted budget projects. Here at ABC containers, we have used shipping containers for sale or hire in our standard, storage and refrigerated divisions. We can also convert used containers into modified shipping containers such as portable buildings or custom storage containers and can assist with container transport at your convenience. Take for example, Craig the butcher. Craig runs his modest shop in countryside WA and has recently won a promising 1 year shire contract to supply meat to all the local clubs for functions and events. Craig's current meat storage facilities are suited to the steady demand of the town and would be inadequate for the new demands of the contract. Building a new cold storage partition on his butcher shop would stretch the budget, especially considering the contract is up for reassessment next year. A low cost, scalable, cold storage solution that he can remove or expand as needed would be ideal. Considering the restricted budget, we would suggest Craig purchases a used refrigerated shipping container and has it modified to include personnel doors and a freezer partition where needed. Later down the track, Craig would have the option of selling it back to us or if he keeps the contract with the shire, having it painted to match his shop and making it a permanent fixture. Furthermore, Craig could generate revenue by hiring the container out as cold storage for remote events. 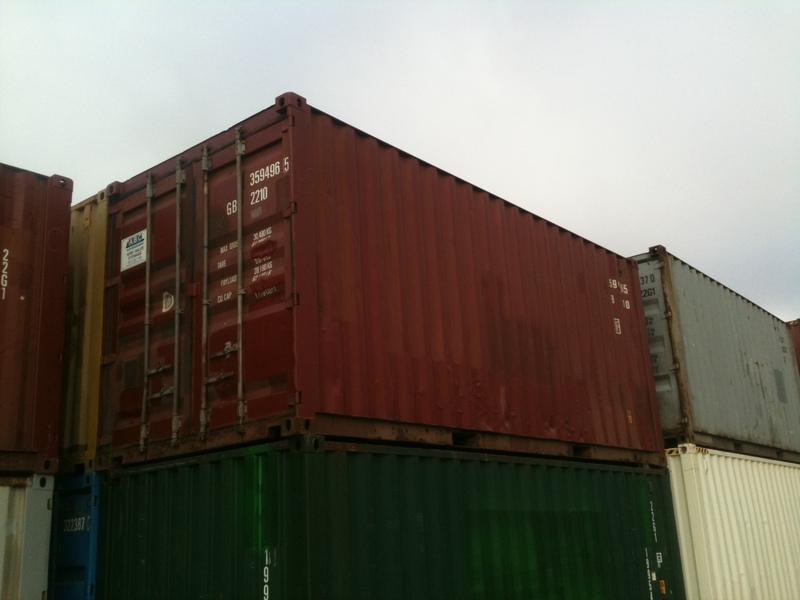 If you have a situation similar to Craig and are looking for used sea containers for sale, give us a call or leave a quote request at the bottom of this page.